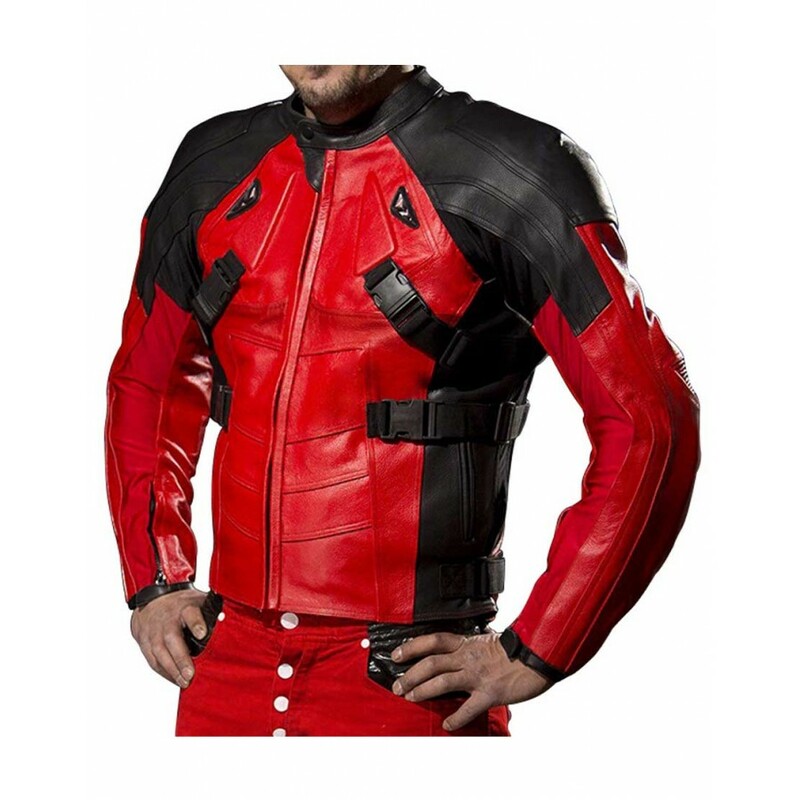 We take care of all and thus we offer now “Deadpool Motorbike Leather Jacket For Men”, which is an absolutely smart and stylish jacket. You can see in the picture, this Deadpool Jacket is the adventureful fashion piece and you can wear this outfit when you are on the bike riding on the highway. 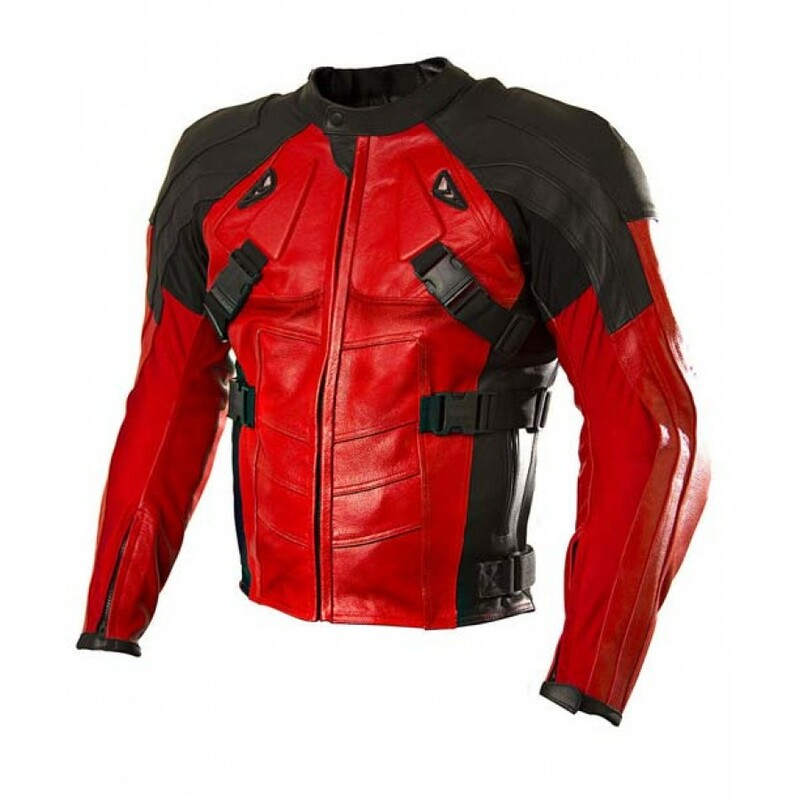 This attire is especially designed for motorcyclists by getting inspiration from ‘Deadpool’, an American R-rated superhero film released in 2016, and that is why it is known as Deadpool Motorcycle Jacket. The best aspect of latest jacket is that it keeps you warm while riding. Besides, it also gives you protection from dust and heavy wind. As it is a celebrity jacket, you can think it is a very expensive one, but it’s not. We offer this fashion piece at very reasonable price and you can easily afford it, and reasonable price doesn’t mean we compromise on quality. We use genuine cowhide leather and premium faux leather in manufacturing of this movie jacket. The best features of our leather and faux leather material is that these materials are of best quality and helps in making Deadpool Biker Jacket long-life attire. 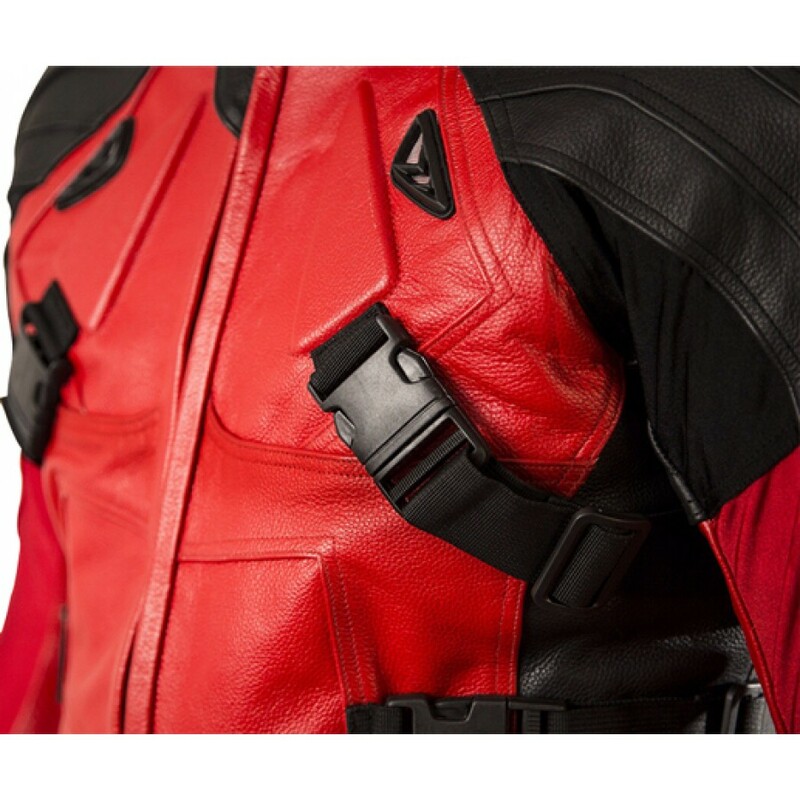 As the name suggests ‘Deadpool Red Jacket’, we produce it in its original shed, which is hot red with CE armours for bikers just like in the original one worn in the movie. Along with these features, this smart Hollywood jacket has full sleeves, canvas belts for style. So, don't be fool to order cheaper jacket as this jacket requires some handy works and we have expertise in this area. This Deadpool Motorbike Jacket will be a wonderful choice if you prefer it to wear and show off your personality with it. It is the time to turn to us and buy Deadpool Jacket at Glamourjackets.com right now!